Granny Flats "To Go"! Backyard Homes in a Box! Come Take The Factory Tour! It’s time to consider factory-built granny flats! And now you have a chance to see construction right in the factory! For decades manufactured homes have been viewed as the scarlet letter of the housing industry. Even the names they are called reek with disdain: mobile homes, coaches, wobbly boxes, and trailers. By extension, the pejorative names suggest poor craftsmanship and poor quality. True, the first generation of homes were homes on wheels. And standards were lackluster or non-existent. Times have changed and factory-built granny flats are constructed to a federal mandate, with ongoing factory inspections and very tight engineering requirements. Not to mention they are constructed in an environmentally controlled indoor facility. No weather warpage, delays, waste, theft or vandalism. The above picture is one of ours on the assembly line! Factory built construction is now even being used for hotel chains, commercial buildings and yes, even car washes. So why not backyard homes? 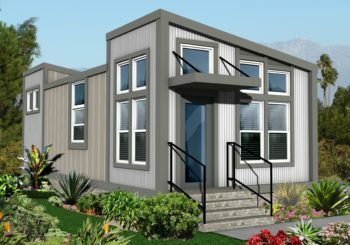 Given the streamlined construction, factory-built granny flats are a perfect solution to be you backyard casita and with a much reduced cost of a site built structure. Come See Manufactured Granny Flats For Yourself! CREST BACKYARD HOMES would like to invite you to join us for a tour of the Silvercrest Manufactured Home & ADU factory in Corona on Saturday, June 9, 2018 from 9 AM – 2 PM. ACCESSORY DWELLING UNIT (ADU) OPTION 2: Wine & cheese luxury limo bus for $50/person. The limo bus will be departing at 9am sharp from the Park & Ride on the Northeast corner of La Costa Ave and I-5. All reservations are on a first-come first-served basis and we will need your payment and reservation by May 15th. The tour will consist of views of all the major construction points on the assembly line. 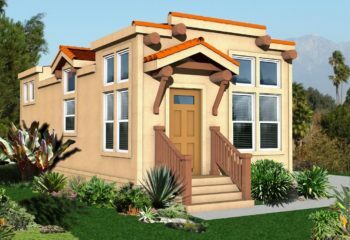 You will discover and appreciate the advanced quality and building standards of the manufactured housing ADU. We call them Granny Flats To Go! Michael Schmid, Silvercrest factory representative will be your informational granny flat guide. 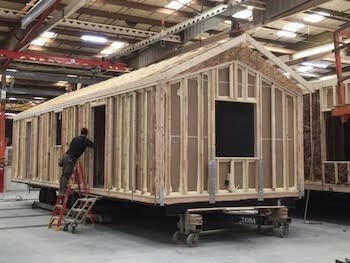 By the end of the tour you will have had an opportunity to see first hand how a manufactured accessory dwelling unit (ADU) is constructed. Michael is a San Diego resident and will be joining us on the bus tour. He will be happy to answer any/all questions you may have. On our return trip you will be treated with wine and cheese choices along with water and soft drinks.